Adds a scroll to top button to your store, which allows your customers... well, to scroll to the top of the page with just a click. Simple installation, simple feature, simple benefit. Make it possible for your customers to return to the top of the page with one simple click. The module adds a smooth scrolling effect and eliminates the need to torture the mousewheel to scroll through loads of content. The Scroll Top button is not always visible, appearing only if the page is scrolled down. Scrolling is slight and animated: no page refreshing or sharp jumps. 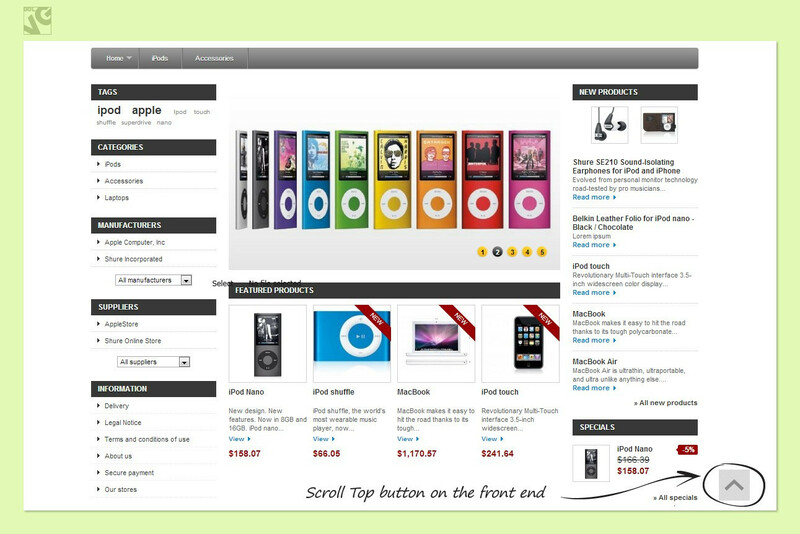 Prestashop Scroll Top module is totally free! 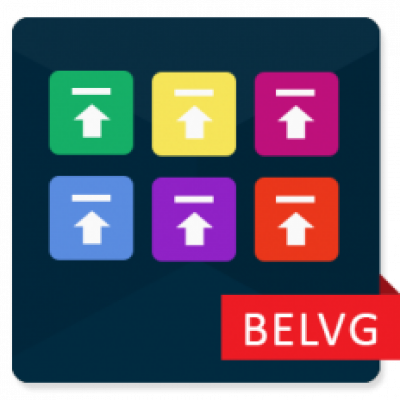 Scroll Top Free module is fully customizable, enabling you to make the best possible use of it. Enter when the button should appear, fade in and fade out duration and time the page scrolls to the top, upload button image and configure its position and size. The module is perfect for stores with lots of long pages. Provide your customers with a possibility to jump right to the top easily. It improves the browsing experience and encourages users to spend more time on your eShop.